Nigel Charnock, the performer, choreographer and director, died late yesterday (1 August 2012) at St Christopher’s Hospice in South London. He had been diagnosed with Cancer of Undiagnosed Primary in the middle of June this year. He was 52. Nigel was responsible for an extraordinary body of work. A maverick and totally captivating performer, Nigel ruptured the boundaries of performance using different disciplines and media to redefine dance as a genre. His joyful, humorous, uncompromising, all-singing-and-dancing, professional working attitude has influenced and changed the lives of artists and performers across the world. Described in The Independent as “body poet and word dancer… a virtuoso in daring”, Nigel was midway in the development of one of his most ambitious projects to date for his own company. A short section of this evening of work entitled 10 Men was previewed, to unanimous acclaim, at British Dance Edition and Duckie earlier this year. Nigel is internationally acclaimed for a string of unique solo performances which include Human Being, Hell Bent, Original Sin, Resurrection, Frank and most recently One Dixon Road. Renowned for his inspirational teaching and mentoring, Nigel worked regularly and relentlessly with dance centres and independent artists throughout Europe, Israel and Canada, undertaking many choreographic commissions. Nigel Charnock being Nigel Charnock (from a 2006 Balletco review). In recent years he created new work for Louise Lecavalier (Canada), Candoco Dance Company, Ludus and National Dance Company of Wales (UK) as well as ongoing collaborations with jazz musicians Michael Riessler and Gwilym Simcock. 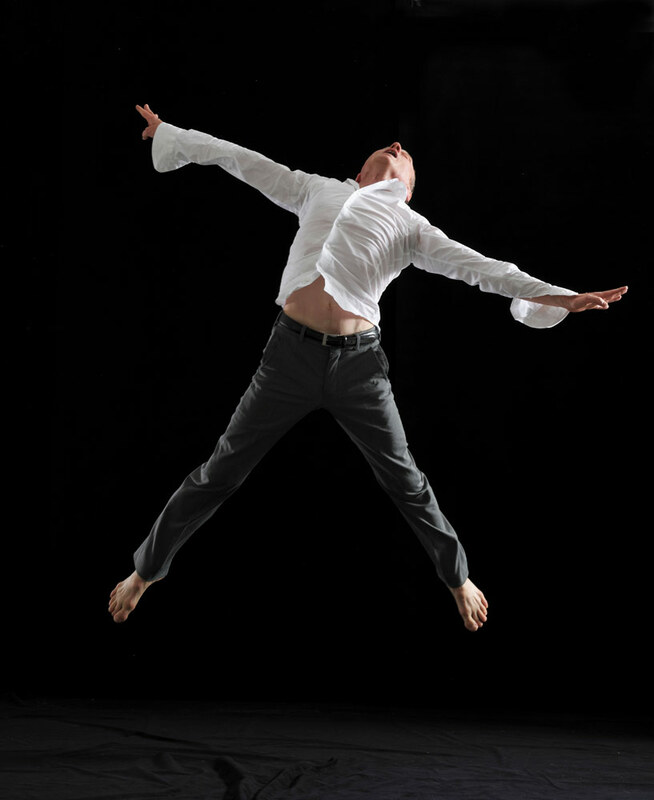 Beginning his performing career in Ludus and Extemporary Dance Theatre, Nigel became a founder member of DV8. He formed his own company – Nigel Charnock + Company in 1995 and was Artistic Director of Helsinki Dance Company from 2002 to 2005. He toured Stupid Men (an ensemble of male performers) from 2006 and enjoyed an inspirational partnership with Wendy Houstoun. As a celebrated creator and performer throughout the world Nigel was simultaneously acclaimed as both “a national treasure” (Arts Council of England) and branded “the unreconstructed bad boy of physical theatre” by London Metro.